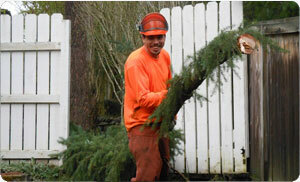 Taking care of your Spanaway trees is a rewarding investment, which is sure to deliver good returns. Trees which are properly maintained are not only pleasing to look at, but also enhance the property value. However, trees which lack proper care and attention are more of a liability, which can prove hazardous for the property and individuals residing nearby. At Hunter's Tree Service, we offer a range of tree care including tree trimming services for residential and commercial properties in Spanaway to enhance the healthy growth of your trees. Our licensed and fully trained workforce at Hunter's Tree Servicepays attention to every detail in order to deliver unmatched tree service, in terms of quality and client satisfaction. Efficient tree service is provided by experts who are well trained in various processes, like planting trees, caring for their health and maintaining their appearance. By analyzing the condition of the entire tree structure, our tree care experts are able to provide their valuable insight and guide you regarding the best measures which are required to maintain healthy appearance of your trees. Tree trimming and pruning, especially large ones, is a quite complex and dangerous task. 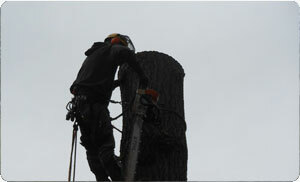 Age, size, condition and location of the tree needs to be kept in mind while offering tree service. A tree, whether big or small, requires timely attention and specific tree care to maintain its appearance and health in your Spanaway yard. Regular care also helps to keep any impending issues at bay, which might adversely affect the health of your trees. Irrespective of your tree care needs, our tree service experts can efficiently serve our clients with their extensive experience and knowledge. 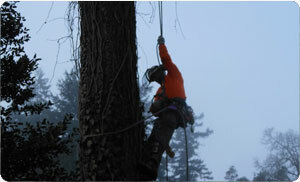 While providing services in Spanaway area, the team of Hunter's Tree Service adheres to the highest standards of safety, quality and work ethics. From regular tree care practices, to tree trimming, pruning and removing, our workforce ensures to deliver safe and reliable tree care services to Spanaway residents always.